Adam Broomberg and Oliver Chanarin are the winners of the 2013 Deutsche Börse Photography Prize. Often tackling overtly political subjects in a variety of ways has been their mode of work for a long time now, and I’ve always wanted to speak to them about the various projects, about what motivated and guided them, and about how they viewed the state of photography in general. Jörg Colberg: For a lot of photographers, their work seems to be ending once the photograph is taken (or post-processed). With you I’ve always had the impression that the making of pictures was maybe less important than their placement: to see what they would do. Or to see whether they had the intended effect. Or to make people look at photographs in new ways so that they would become more aware of what photography actually does. I don’t know whether you would agree with this, and I’m also curious how you arrived at this mode of work that you’ve been using for a while now. Adam Broomberg & Oliver Chanarin: Its started with a growing doubt we both had every time we made a picture. There is a hidden promise built into the act of making a photograph, particularly with portraiture. A hint of salvation, as if the camera can act as a portal to a better place. This would obviously be more pronounced in places like prisons, conflict zones or psychiatric hospitals but even on the street we were bewildered when people agreed. At about the time this doubt started creeping in we both read a remarkable book by Janet Malcolm called “The Journalist and the Murderer,” where she wonders incredulously why anyone would reveal so much to a journalist, in her experience often more than she felt they would reveal to a shrink. We began to feel the same about images. Why would anyone agree to being photographed without a full understanding of the potential political, cultural and economic currency of the images. That eco-system, the moral, political and financial world that images work in began to interest us more than the individual images. So our work began to look at revealing the mechanisms at work around image making, distribution and consumption. Its hard to do this if you’re just making pictures which for the most part leaves you at the bottom of this powerful food chain. JC: In 2008, you went to Afghanistan, “embedded” with the British army, to make pictures (The Day That Nobody Died). You went with a roll of unexposed photo paper, unrolled parts of it on different days and exposed them for a period of time. This was a conceptual way to look into the process of embedding, of having the army transport you and your box of film, of making pictures in a war zone. This all makes perfect sense, at least as long as you’re familiar with all of these mechanisms (and with the idea of conceptual photography). Most of the consumers of the news, however, might not have the background needed to make these connections. They might simply be baffled. I’m wondering how you navigate around that risk, the risk that people outside of the art world simply don’t have enough exposure to this fairly sophisticated thinking about photography to get what’s going on? B&C: Interviews like these, teaching and speaking in public is very much part of our work and we try and explain everything about our motivations, our working methods and our mistakes. In the project you mentioned we wanted it to raise questions. It was at the height of the insurgency in Afghanistan, and the embedding process was in full swing. When we began investigating the embedding process it bewildered us, and revealing its working underpinned the project. To truncate its history, the US and UK realised that the public would demand access to photojournalists after the first Gulf War in the 90’s, where no photographers were allowed into the conflict zone, and we all sat behind televisions watching so called “smart bombs” exploding randomly (often brought to us by cameras mounted on the noses of these intelligent weapons). At the same time the US administration had noticed that during the Falklands war – where boats taking troops alongside a limited amount of photojournalists to the frontline took three weeks – led to a different depiction of the war. The journalists had developed an affinity with the troops and this led to a more traditional , ‘heroic’ depiction of their actions. So they invented the embedding system, which on the surface promises the photographer unprecedented access to the frontline (but less apparent was the access it granted the defense ministries to the photographer’s movement and material). It was a deal with the devil. In order to get embedded we signed a form effectively banning us from taking any images that showed evidence of conflict (no dead bodies, no wounded bodied, non evidence of enemy fire… the list is endless). So our only option was to make a performative act of resistance. To go there we lied and said we were photojournalists and signed their embedding form, and once there never made any pictures. To get back to your question, the controversy it raised helped us ask these questions in public. But less cynically the “images” we brought back (6 meter, abstract swathes of colour all made at moments when a traditional photojournalist would make a picture) are in a sense real witnesses. Those documents, that piece of paper was actually there in the place. Its relation to the event is more clear than a traditional photograph. It ears the scratches, the effects of the light, the heat, the environment on its surface. JC: Important events such as wars or disasters need to be witnessed and documented or reported. How can this work, though, in a world where the news and media in general have become so heavily commercialized and where, I think as a consequence, the general trust in images in the news has been diminished? B&C: The civilian journalist, anyone armed with a mobile phone is now a potential witness. Did you know that Associated Press now have more people scouring social media then they have professional photographers in the field looking for ‘evidence’? The playing field is now wide open, and hopefully with more and more people feeling the need to blow the whistle the more we’ll know about the dark workings of the state. 5th April 2010, 10:44 EST WikiLeaks has released a video depicting the indiscriminate slaying of over a dozen people in the Iraqi suburb of New Baghdad – including two Reuters news staff. Since the time of the attack Reuters has been trying to obtain the video through the Freedom of Information Act, without success. Two young children involved in the rescue were also seriously wounded. JC: For various of your recent projects, including War Primer 2 (for which you received the 2013 Deutsche Börse Photography Prize – Congratulations!) and your new book The Holy Bible, you used archival photographs. Can you talk about your general interest in archival images? B&C: We have always collected images, but archives are strange beasts that work in unique ways. Our project People in Trouble Laughing Pushed to The Ground is a good example. The Belfast Exposed Archive occupies a small room on the first floor at 23 Donegal Street and contains over 14,000 black-and-white contact sheets, documenting the Troubles in Northern Ireland. These are photographs taken by professional photo-journalists and ‘civilian’ photographers, chronicling protests, funerals and acts of terrorism as well as the more ordinary stuff of life: drinking tea; kissing girls; watching trains. 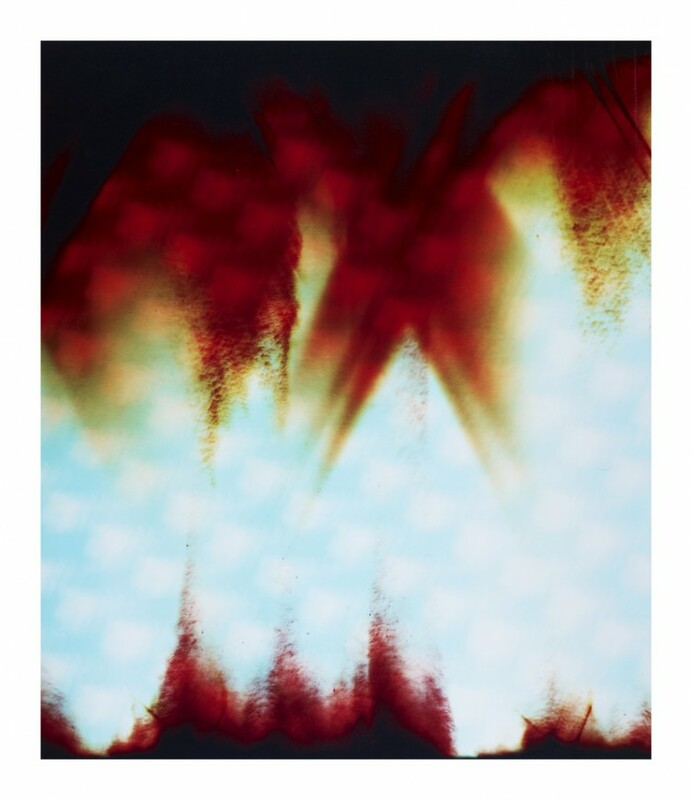 The marks on the surface of the contact strips – across the image itself – allude to the presence of many visitors. These include successive archivists, who have ordered, catalogued and re-catalogued this jumble of images. For many years the archive was also made available to members of the public, and sometimes they would deface their own image with a marker pen, ink or scissors. So, in addition to the marks made by generations of archivists, photo editors, legal aides and activists, the traces of these very personal obliterations are also visible. They are the gestures of those who wished to remain anonymous. JC: War Primer 2 is an update of Brecht’s 1955 War Primer. How did you come across Brecht’s book, and what had you produce a new version? In what way has our understanding – and possibly use – of photography changed between 1955 and now? B&C: We first read an essay about it by David Evans and then got the original book which loitered around our studio for years… It slowly built in momentum the project. We began as Brecht did, cutting out images from broadsheets but soon realised (and following his dictum to not “follow the good old things but the bad new ones”) that if Brecht was alive he would be trawling the internet, not sitting in the British library. 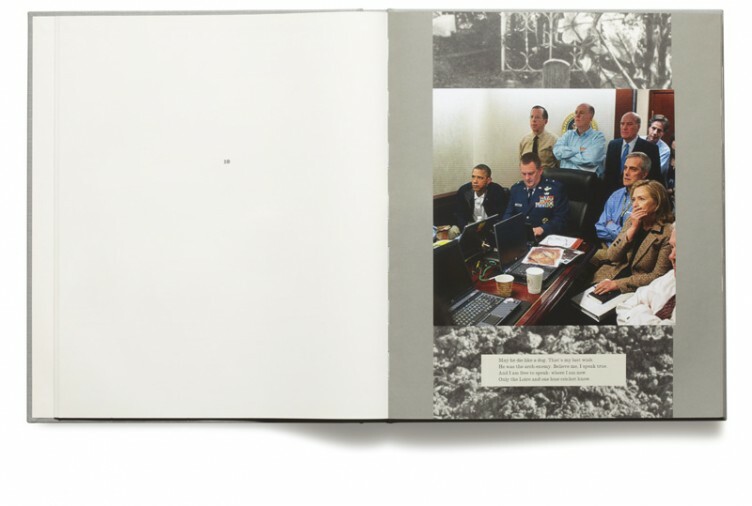 The book is really about how photographic strategies (particularly in documenting war) have changed in just 50 years. Now everyone has a camera, from drones, to grandmothers, and each offers another political view of the same event. We wanted to analyse this new playing field. 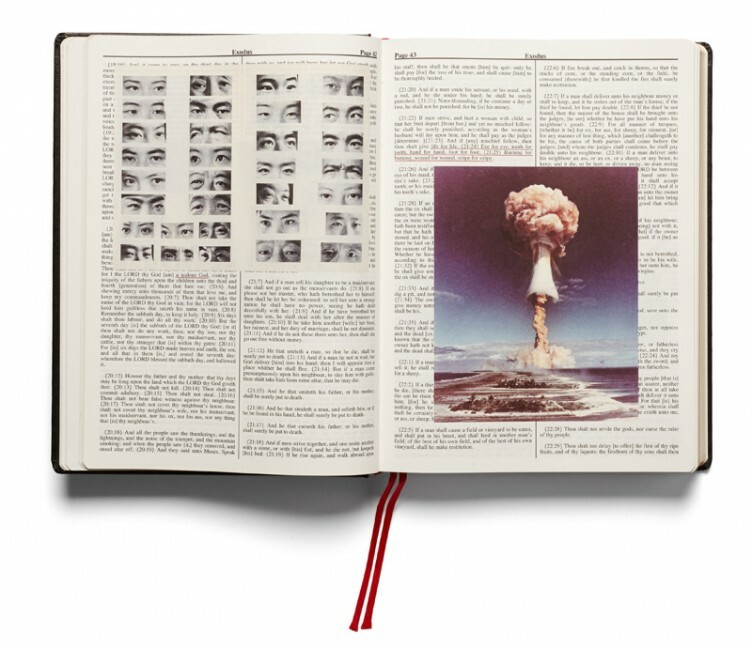 JC: The Holy Bible had you create a variant of sorts of War Primer, where you added photographs from the Archive of Modern Conflict to a Bible. How did this come about? And why did you work with with material from the Archive of Modern Conflict? Why not your own pictures? B&C: Three reasons. The first is we were in conversation with Adi Ophir, a radical philosopher who has dedicated some time to studying the Old and New Testament. His thesis “Divine Violence” argues that God reveals himself primarily through catastrophe, through violence. He sees the Bible as a parable for the growth of the modern state and the blurring between God and State leading to us blindly and naively accepting the radical punishment the State is able to meter out. So with this reading in mind an archive that deals with conflict and its history seemed appropriate. The photographic project has always been drawn to scenes of catastrophe and violence, so using photographed and specifically mining an archive of images of conflict from the beginning of the medium to its most recent incarnations seemed apt. 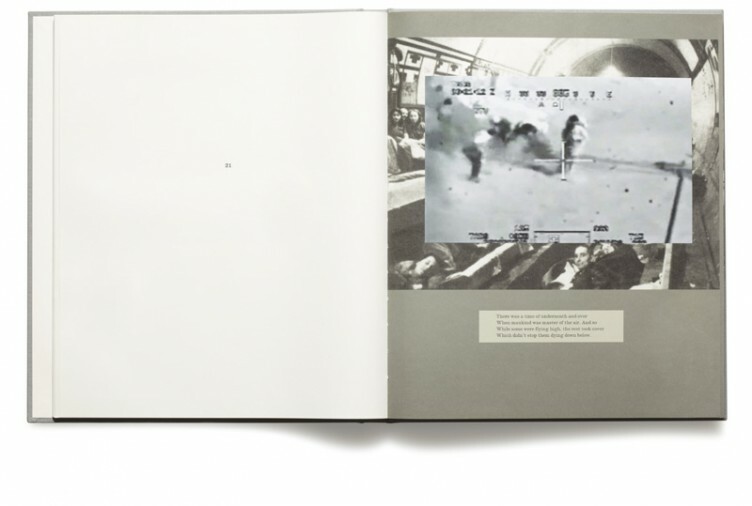 JC: Given that there are so many photographs in the Archive of Modern Conflict how did you go about selecting images? The task at hand seems incredibly hard, both in terms of sifting through all those images, but also in terms of making choices for specific parts of the bible? Did you pick photographs first and then match them up with passages from the bible, or did you approach the archive broadly knowing what kinds of images to look for? B&C: Each archive is unique and its important to understand its remit or lack of one. The Archive of Modern Conflict that we collaborated with is interesting because its history of conflict is almost an unofficial one. It has a large collection, for example of private Nazi soldiers albums showing intimate moments between the soldiers and their loves, men being playful together – none of this is the narrative we have been allowed to see. So although we were looking for images of conflict to illustrate this violent text, we weren’t looking for the official version, for those images around which our collective memory has coagulated. JC: You frequently hear or read the claim that there are too many photographs in the world. Millions are being made and added to Facebook alone every day. How can we navigate a world in which so many images are so easily available (unlike in the not-so-distant past where only photographs that were physically accessible were truly visible)? How can we make smart choices what to look at, what to ignore, what to trust, what to mistrust? B&C: Yup, something like 375 billion images have already been made this year. I recently told someone about a recurring nightmare I have where all of those images materialise, and we drown in a tsunami that starts inside Happy Snaps. The important thing is to realise that even though so many are made, they are still so carefully controlled, by newspapers, by news agencies, by the state. We see very little of what’s really going on unless we look hard. JC: One final question. Do you think that photographers have a responsibility that goes beyond artistic (or photographic) concerns? Maybe a responsibility to not only be aware of how photographs are being used, but to also make talking about or dealing with the use more of their practice? There is the politics in the images, and there is the politics around the dissemination of images. Compared with the past, have photographers become too apolitical in both respects? B&C: Think you’ve answered that one perfectly.